So, how best to work it.. If a waiter reads the needs of your table correctly, you're likely to end up with a good experience. Inadvertently giving off the wrong signals can doom a table to service that's too rushed, too slow or just off kilter. Here, how to work the system. If you act moody... You may get better service. Several waiters said they are more careful to get every detail right when they believe a table is already in a bad mood (a couple fighting or a tense business meal perhaps). Shyam, Very insightful blog post.. how do you and others do this!! the few paragraphs above regarding 'future is not now' is particularly useful.. in many ways, there are similarities to even western world, as I have not really seen any real, measured figures of % of population that actually 'transact' and of those who are transacting with online only entities and % of those transacting with online extension of offline brands.. this should give us all a much better indication of what is what.. whether it is for US/UK or India/China.. sadly, all we see now is sampling and in some circumstances bad guesses..
Must read article... but surely if this was the result.. then something is wrong and should be fixed, rather than see the likely negative impact!? or is that just a too 'common sense' way of doing things?? "The findings of the study by BlackRock and the Economist Intelligence Unit, published on Monday, will appear counter-intuitive to some analysts who had predicted that regulatory pressures would make insurers even more cautious. But in explaining the findings, David Lomas, head of financial institutions group at BlackRock, said insurers were hunting for higher returns in the current low yield environment and argued that the Solvency II regime in fact made some alternative asset classes more attractive." "The survey found that only 6 per cent and 9 per cent expected to reduce their exposure to private equity and hedge funds, respectively, while 32 per cent expected to increase their exposure to both. Wow, what honesty.. why trusted journalism wins! "The only thing I can offer is the advice to take everything you read in the technology press with a grain of salt. Perhaps several. The likelihood that at least part of it is nonsense is very strong. And stronger by the day. totally.. if you don't have time to read the lot (via link above) read below..
"If you haven't heard of Alpha lipoic acid, it's high time you found out more. It's an antioxidant which occurs naturally in our bodies and can help to generate the cellular energy required to keep our skin looking radiant. Small quantities can be found in sardines, beef, spinach and peanuts and it can also be taken in supplement form. 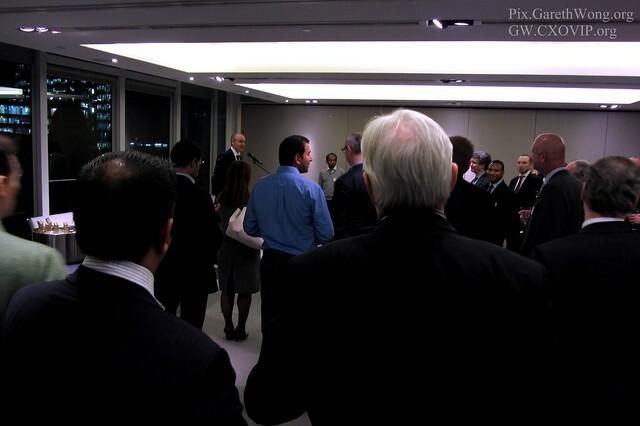 Our February MBA reception was held at Hogan Lovells’ wonderful Holborn Offices. With an immense sculpture in the central atrium surrounded by floors of large, well appointed glass fronted offices, it’s all very impressive. Perhaps more impressive was the effective organisation of last night’s event. Hogan Lovells do corporate entertainment very well. Generously provided free drinks flowed, there were staff on hand to guide us to and from the event and HL even provided nifty magnetic name tags to avoid stabbing costly suit jackets with annoying safety pin backed badges. If you’ve never been to an E/MBA Club event, or it’s been a while since you experienced one, I can highly recommend them. They are invariably held in impressive and convenient city locations. I have yet to hear a bad speaker. You are guaranteed to meet some new and interesting people. Additionally it’s a lovely way to arrange to meet up with cohort colleagues whom you “always intended to keep in touch with”. 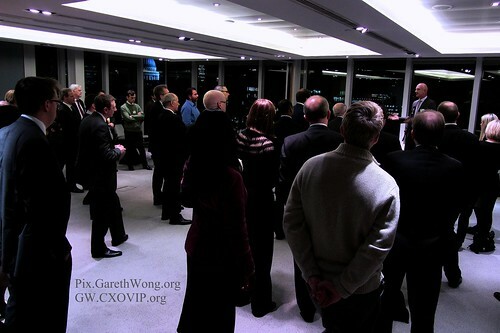 Last night I was once again impressed with the variety of business areas represented by Cass MBA Alumni. From the senior policeman speaking on Fraud and Cyber crime, through a smorgasbord of entrepreneurs to lawyers, bankers and representatives from various technology areas. These events not only broaden your contact list, giving you access to professionals in areas you may rarely otherwise encounter, they also allow you to gather up-to-date knowledge on a wealth of industries. This definitely will make you more interesting round the water cooler/meeting table the following morning. Last night I personally improved my understanding of the legal profession, gained fresh insights on China from an MBA who met his Chinese wife through an MBA colleague, met a lady with interesting plans to revolutionise the core structure of MBA programmes, and met for the first time a fellow alumni who previously posted a career opportunity on linkedin that I was able to help a friend get an interview for. So not only are these events interesting, they might even result in a new job! 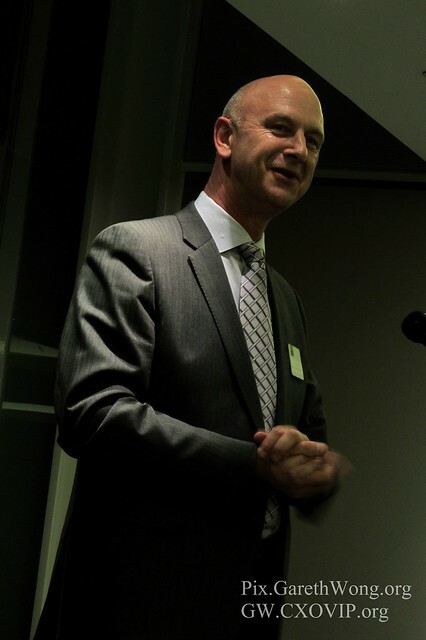 Adrian Leppard, City of London Police Commissioner, gave a very interesting, and somewhat frightening, talk on the dangers of fraud and cyber crime. Economic crime is rising so rapidly that the Government are putting more money and resource into specialist resource, led by the City of London Police, even when cuts are being made almost everywhere else. I will certainly be hiding my pin with my other hand when using ATMs or retailers' card readers and being doubly alert for skimmers! It is reassuring banks, credit card companies and police work closely together, but businesses also need to put information security high on their agendas – both online and through staff. Adrian’s impressive and interesting career makes him a captivating speaker. Some of his stories sound like scenes from the Sweeney! Some how whilst accelerating through the ranks Adrian found time to also do an MBA at City. It was encouraging to hear that 12 years later he finds he is still practically using his MBA learning. Hogan Lovells entertained us for nearly 3 hours, and Gareth had additionally sought out a very nice bar as an after event venue. A fair number continued socialising, and impressively one of the Cass Alumni staff (for whom this could fairly be described as work) was one of the last to leave the second venue. If you like learning new things from talented people, want to catch up with old colleagues, broaden your network and have an interesting night out in a nice venue, I encourage you to put the next event in your diary. The MBA experience definitely does not need to stop when you graduate. Thank you to Gareth Wong (EMBA04), Adrian Leppard (MBA00), Neil May (EMBA97) and the team at Hogan Lovells for a fantastic evening. For those of you still unconvinced, did I mention there were free drinks? "This 2012 Q1 E/MBA club report, was kindly independently written by Andrew Ratnayake (EMBA10)"
More details on future E/MBA club, please contact Cass Alum office or via CassAlumni.org , this is exclusively for City/Cass MBA alumni only, and if you are one of us, do mark your diary, as Q2 E/MBA club is 16th May. details TBC.